At DUFOUR you will always find a good listener. We resolve your legal problems in the private sector, whether in family law, inheritance law or in relation to the succession of your family business or assets. We act for you in employment law matters. 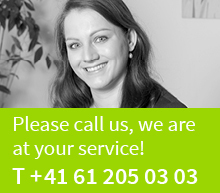 We are at your service when facing legal issues regarding your house or your apartment. You appreciate a consultation that adress the human and social dimension in addition to the legal aspects. You prefer to be advised by competent specialists who bring a broad experience in dealing with complex intra personal or intra-familial relationships and who react sensitively and thereby ensure respectful interaction even after a conflict.